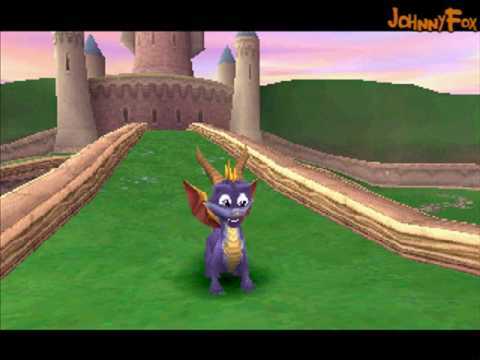 OverviewSpyro the Dragon is a 3D platformer from acclaimed developers Insomniac Games. 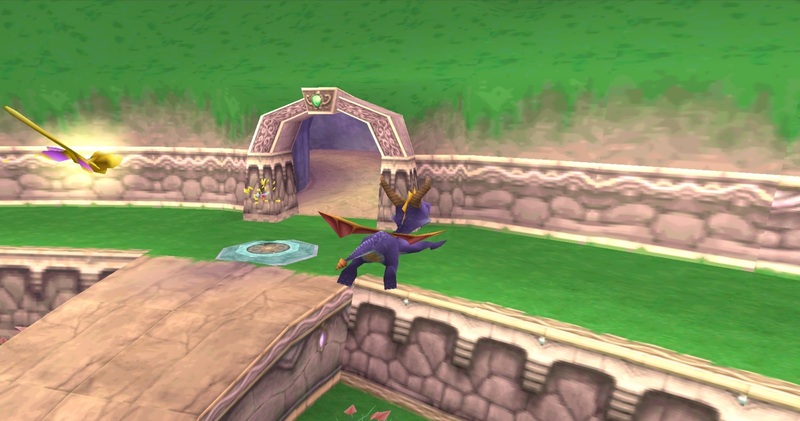 In this adventure, Spyro is tasked with freeing his fellow dragons from stone and defeating the evil Gnasty Gnorc. spyro is a great game. its very easy if you just bust through the game without collecting all the loot, rescuing all the dragons, and recovering all the eggs. but if you choose to take on the task of 100% completion, it can be a very fun, somewhat challenging experience. some may find it tedious, but i find it to be "theraputic". the relaxing gameplay complimented by the brilliant soundtrack will leave you with a warm feeling inside. 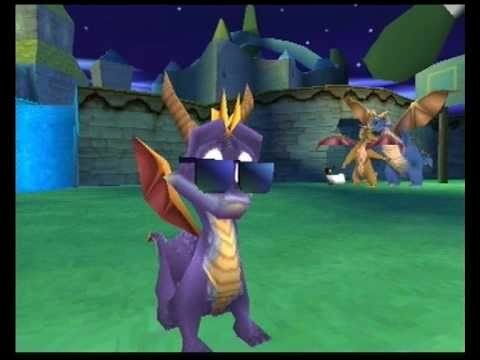 Spyro the Dragon is one of those games that I consider like a feel good game. Heck, even my mother played it back in the day. 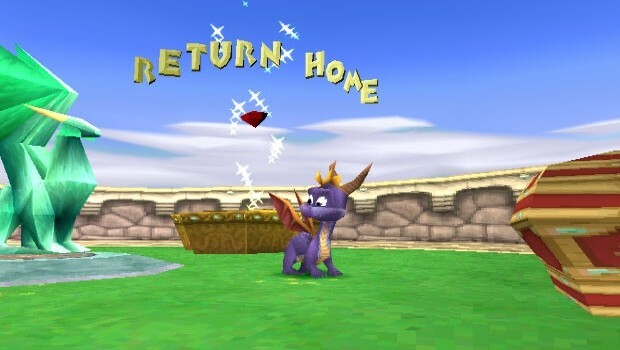 In Spyro you are a dragon with a dragonfly sidekick helping with restoring all your dragonfolk to their former selves after being turned to stone by a villain named "Gnasty Gnorc" (I know, I know, sounds silly but remember, this were the ps1 era). It's pretty fun collecting gems and participating in flying minigames but the bane of my existence back then was catching the egg thief. So, if you're looking for a game where you could relax and just chill for a few hours collecting gems and chasing thieves (and breathing fire on mooning enemies) then this game is for you. 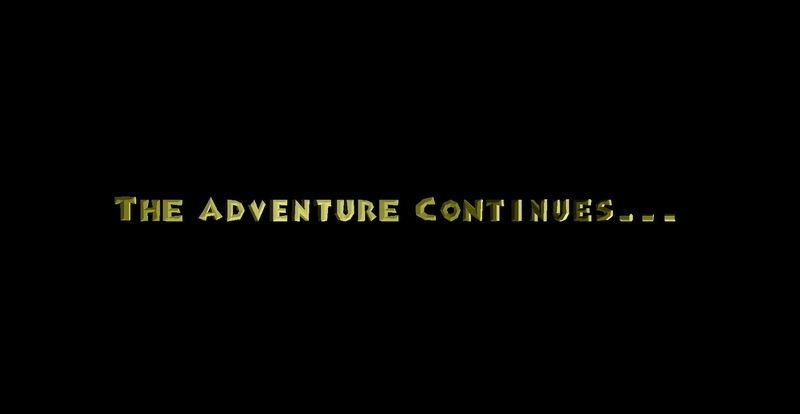 Spyro the Dragon, what a ride it is! Young or old, big or small, if you have a heart, Spyro the Dragon is the game for you. 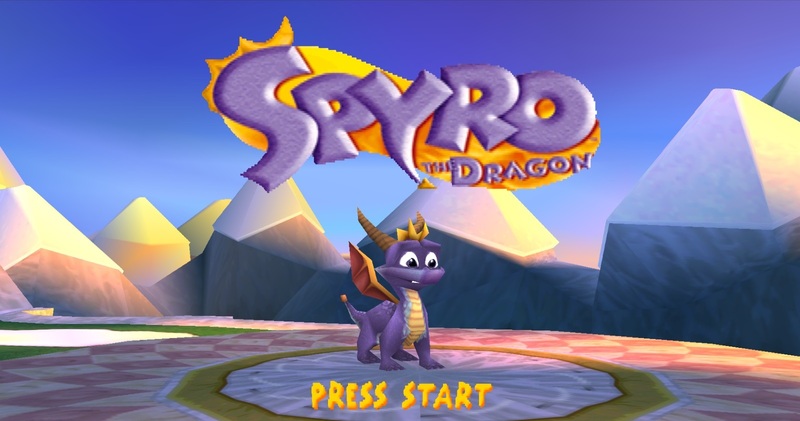 In this game, the very first of this wonderful series, you take the role of Spyro the Dragon as the title implys. As the game starts off, a couple of older dragons seem to be recording an interview of some sort, and Spyro is poking his head around in the camera. Suddenly, the dragons turn to crystal one by one, Spyro being the only survivor. 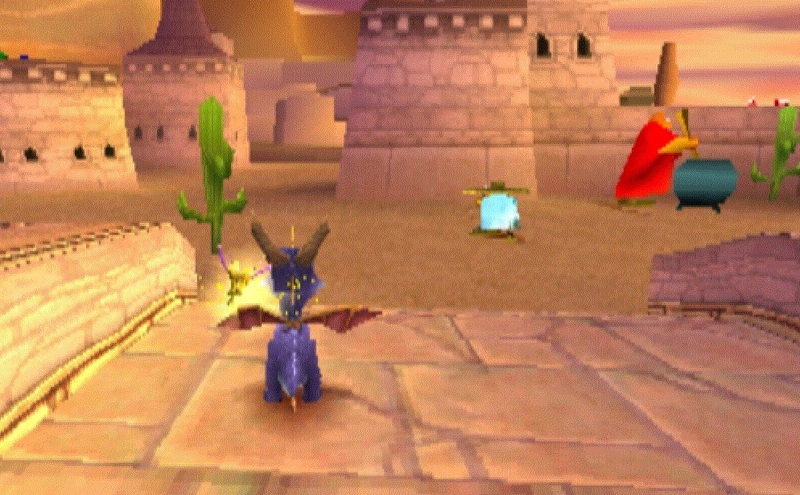 As the only dragon left, you must flame, charge, and glide your way through the many levels, freeing dragons and collecting treasure, in order to defeat the vicous Gnasty Gnorc. Now you can add videos, screenshots, or other images (cover scans, disc scans, etc.) 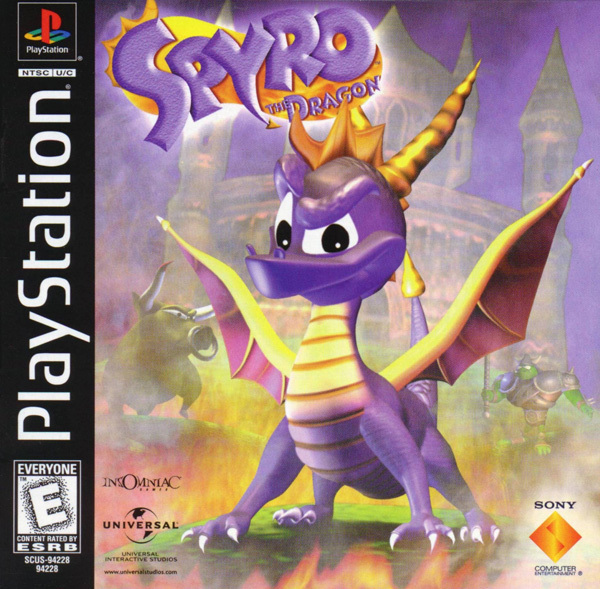 for Spyro the Dragon [NTSC-U] to Emuparadise. Do it now!